The furniture is ordered and the color scheme finalized. The theme of the room is now emerging and you are so proud of your handiwork. You have thought of everything...including matching kids lamps! It's time for your child to settle in. 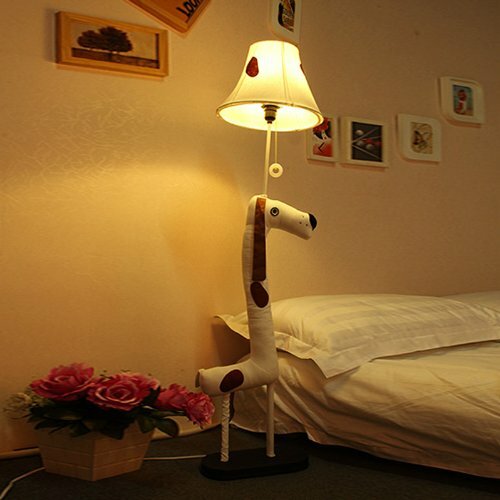 That funky modern lamp looks adorable and even fits beautifully into the theme of the room. But does it help with the activities in the room? Is your child able to read in bed? Can he study without straining his eyes? Does it shine in your baby’s eyes as you change his diaper? Are the cables and wires of the kids lamps secured away from curious fingers and wobbly feet? Shopping for nursery or kids lamps requires more than seeing that it fits the theme. We recommend you check the lights in the room even before you choose the color for the room or buy the essential bedding. An abundance of natural light in the nursery or kids room gives an overall feeling of openness and air. Studying the skylight and window placements and sunlight angles will allow you to better place your furniture (the sun should not blaze directly on the bed in the afternoon) and understand your window treatment options. It will also allow you to know the kind of kids lamps required at various times of the day and for which activities. 2. Double-check the color scheme. Sometimes a color that looks so warm and inviting under the artificial light of the store can turn into something totally different in the natural light flowing into your kid's room. Before you finalize the color for the room, make sure you check it under both natural and artificial light. 3. Three types of lighting needed in a kid's room. Ambient lighting – this light fills the whole room. 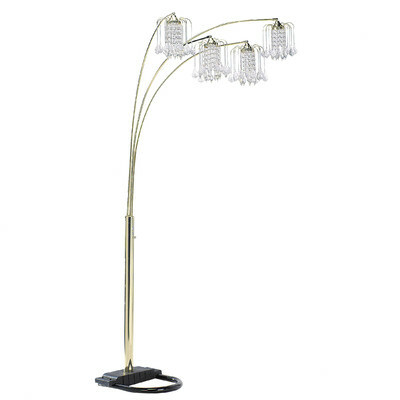 Lighting such as Chandeliers, Wall Sconces and Floor Lamps fall under this category. Task lighting - brightens a particular area depending on the task performed there. Table Lamps and Night lights are good examples here. Accent lighting - adds a novelty touch to your child's room. These can be in the form of any of the above or something totally unique. 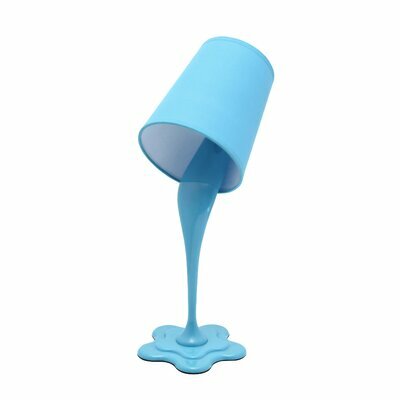 Are you searching fun kids lamps for your toddler or tween? A nursery lamp for your newborn or a striking light fixture for your teenager? Age makes all the difference when selecting proper lighting ideas. As your child grows, his room's lighting needs change. 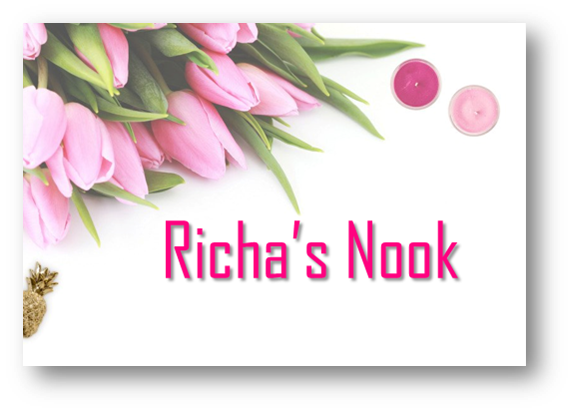 Babies need soft nursery lamps (preferably on dimmers) that will soothe and lull. Toddlers prefer more fun light in fancy shapes. Tweens need task lights for doing their homework or reading in bed. Teens want lights that can make a statement. 5. Choosing the Right Lights. Let the age of your child and activities in the room guide you to decide whether you buy table lamps, floor lamps, chandeliers or wall sconces. In a nursery, the safety issues are aplenty. Avoid table lamps and slim floor lamps that can topple over an enthusiastic baby. A chandelier would be hazardous in a playful toddlers room where balls fly across the room. Tip: Fancy switch plates that match the theme of the room are a great introduction. 6. Ceiling Fans – To Buy or Not to Buy. This is mostly a personal decision. Ceiling Fans are a good option if you want to circulate air throughout the room. It might also reduce your energy bills by reducing the use of ACs. Ceiling fans are available in a multitude of designs and funky colors. Some even have light fixtures attached to them making them multi-functional kids lamps. 7. Introduce a Novelty Light Feature. After you have taken care of the practical lighting needs of the room, remember to add the one novelty light feature that will become the topic of many a kiddie or teenage conversation. An unusual pattern on the ceiling makes a great statement. In the baby nursery, it will provide baby visual stimulation as he gazes at it from his bed. 8. Conserving Energy in Fun Ways. Teaching your kids to conserve energy accomplishes more than a saving in your electricity bill (which is always nice to see, of course). The issue here is larger than a single household as it affects the whole world. Switch off the stress by making energy conservation fun for the kids. Offer incentives - a trip to the ice-cream parlor at the end of the month. Give responsibilities – make one kid the Energy Conservation Officer of the month (you can all take turns). Along with the kids lamps and other electrical fixtures come the inevitable safety issues that call for immediate action. Electrical sockets have got to be covered. Remove or hide dangling cords and stuck on beads or any other decorations that could (even remotely) be hazardous. The safest kinds of lighting fixtures to use in your younger child’s room are central ceiling fixtures, child wall lights and track lighting that are far out of your child’s reach. If using light sources that are within reach, opt for fluorescent bulbs that are cool to touch and cannot burn your kid's fingers. 10. Lighting up the Bathroom. If your child has a bathroom of his own, choose the bathroom lights in keeping with the selected theme. If the bathroom is big, you can opt for a fancy ceiling fixture. Else a well-lit vanity and mirror should suffice to brighten the bathroom. You can choose the wall bracket (or fitter) and then select from the many styles of glass shades available to go with it. To mute the lights paint the shades in the chosen color scheme. Introduce stickers on the kids lamps shades to match the theme of the room. These will also be easy to change when your kid outgrows that theme. Chandeliers - You can choose Kids room and nursery chandeliers by color or theme. Wall Sconces - Match modern wall sconces to the chandelier for a touch of glamour.